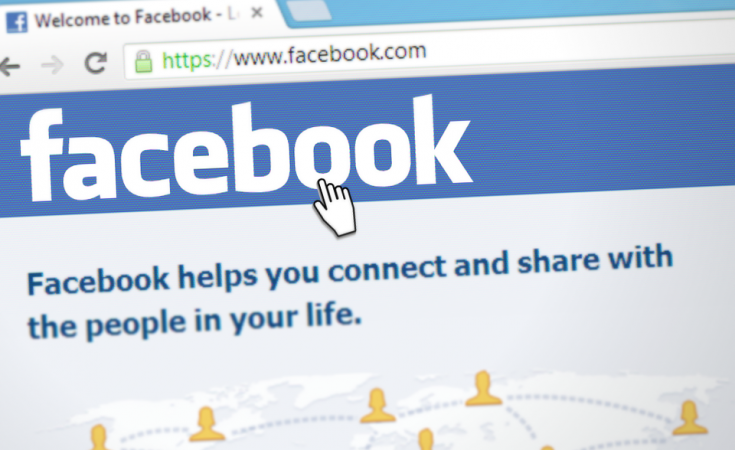 Growing a Facebook page for a blog can be really difficult. It’s often much harder to build up a Facebook following than on Twitter on Instagram. This is simple really; being frank it’s because it’s not done on a mutual ‘like for like’ basis. It’s easy for bloggers to artificially swell their numbers if you have the time to follow lots of people, but is someone who follows 10,000 people on Twitter really going to read your posts? In terms of engagement and page views Facebook is an amazing tool and in my opinion, worth persevering with, even if can seem really hard work! To get people to like and engage with your page there really is no secret; create and share content that people want to see. That is it. 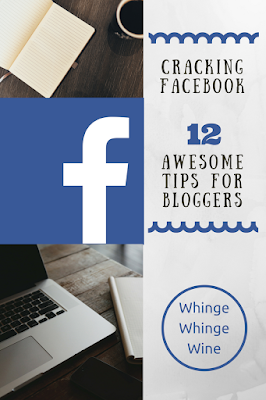 Here are some things you can do to increase your Facebook reach and grow your blog Facebook Page following. Putting yourself out there might seem a bit embarrassing but look at it this way – who is going to be more interested in the lives of you and your family than people that actually know you? Unless you’re entirely anonymous, which is very difficult unless you have a truly unique story to tell, then there is every chance they will find you anyway so you might as well be upfront and it should give your Facebook page a good kickstart. And tell them straight they need to like your stuff, goddamnit! I.e. click the link, like/react and comment, Facebook will show it to more people – but obviously that relies on other people and constant begging, so maybe be selective with what you ask others to promote. If you’re committed to beating the Facebook algorithm, a small ‘comment pod’ of up to 20 bloggers who commit to liking and commenting on 2 or 3 posts a week can really boost the reach of those posts. A slightly cringeworthy tip is to ‘like’ your blog page content as yourself. Yes, your friends will think you’re nuts… but at least they’ll see it! …and to your personal page; this will increase the reach. Local mums’ groups are a great place for parent bloggers to promote themselves if allowed (do read the rules first!) especially if you have a local angle. Don’t do this relentlessly, and make sure you interact on other posts too, it’s useful if you’re already an engaged member of groups. Make sure you write a different blurb for each group you share into so you aren’t marked as spam. Read the rules first because “link dumping” can get you blacklisted if it isn’t allowed and if this happens a lot you can be banned from posting in groups for a period of time. 4) When you post is very important! A post at 7.30pm gets a lot more interaction than something at 9am when everyone’s on the school run – so if you autopublish on Blogger or WordPress consider posting to you Facebook page manually at a different time. Your insights tab will tell you when your followers are online. When it comes to blog links, IT’S ALL ABOUT THE INTRO. Make them want to click! If sharing, I’ve found copying it over the ‘blurb’ and perhaps editing it for the audience, and un-ticking ‘include original post’ (on desktop) is one way of encouraging interaction over simply sharing a post. I aim for 3-5 personally on my page (currently around 9.7k) but the more followers you have the more often you can/should post – but most definitely not just blog links. A good mix might be a picture, a meme, a blog link, a video and a funny news story. Make use of the Facebook scheduling tool to space them out throughout the day. If you’re sharing from another page, right click on the timestamp and copy the link to a new post on your page to schedule for the future. Unlike other social media you can’t follow people and ask or hope for them to follow you back – you can’t always see who likes you anyway depending on their security settings. You could therefore potentially have a following of thousands, or tens of thousands, of other bloggers on other social platforms, but on Facebook you have to create, and curate, content that people will want to see in their non-blogging, real-life feeds alongside updates from their friends and family. Be interesting! Bloggers that post only blog links and do not engage will find it extremely hard to build up followers – it is much easier to subscribe to an RSS feed if you want to follow someone’s blog posts; there is little point in following a Facebook page as well. Anything! Pictures, videos, statuses and other people’s posts… as long as they fit in with your blog theme, but be very careful what you publish. Don’t share anything and everything as you may find yourself ‘punished’ by Facebook (or worse, hidden or unliked!) by posting irrelevant content. Share-for-share groups are a very bad idea. Follow pages that post content that you enjoy (you can add these under ‘pages to watch’ in your page settings) or that fit within your ‘niche’, which you can share with your audience when you don’t have new content to post yourself or to mix it up a bit. Sharing posts that have done well for others is a good way to keep your page reach up. On a desktop computer and on the mobile app, you can go through the list of people who have liked your content and invite them to like your page. DO IT! Not everyone will accept, but they might! Be aware that Facebook privacy settings mean you won’t always know who’s accepted; mine usually show that I’ve been invited to like the page even when I already like it! The Facebook Like Inviter extension for Chrome is very handy; leave it to work while you make a cup of tea and it will do the hard work for you. If you’ve published a blog post then just post the link once – posting the same link again and again like you might on Twitter, for example, will (from my experience) see the reach take a nosedive which could well impact on the reach of future posts. If perhaps it didn’t get the engagement you’d like – maybe in hindsight you posted at the wrong time, or didn’t introduce it properly – and you want to re-share, post a picture and the link in the text or push it through via Instagram. Write a more exciting and tempting blurb this time! The link is available to click but Facebook sees it as an image post, rather than as a link post. It’s of course fine to re-share after a period of time if the content is relevant; for instance my son is teething at the moment so I might share a post I wrote when my daughter was teething. I also tend to re-share blog posts as they turn a year old. If you have posted a blog link, every like and comment contributes to your ‘share’ total (see Shared Count website). Therefore always reply to comments if you can. Of course you should always aim to do this anyway because it’s polite, particularly if people are commenting on your blog posts, but if you tag the person who you are replying to, it may be shown on their friend’s timelines, increasing their reach. If you encourage a conversation your post share total will go through the roof! If you’re doing reviews, even ones of things you’ve paid for yourself, then mention and tag the brand or venue you talk about in your post. If they like it then they might just share it on, and some brands have absolutely huge followings! If you quote other bloggers, make sure they’re tagged – they might share it or give it a like as a thank you for introducing them to your readers. NB If you were paid to write something or received a product to review, make sure you use the branded content tool when tagging or it may be taken down. Don’t forget: The more love you give to other bloggers, the more you will receive back. Liking pages as your own page won’t add to their total likes. Be nice, like it as you and not just your page – and interact with things that appear on your timeline. Is paying for Facebook ads bad? Well, that depends very much on what your blog is for. Do you make money through ads? Do more hits or likes equal better potential for working with PRs? A while ago, I boosted a blog post for £1 to my existing likers and their friends, as a bit of an experiment. Did it set the world on fire? No. It reached about 500 more people than it would have, received a few more likes and around 25 hits on the website. So about 4p a page view. I’ve since done it with other blog posts and it tends to site around 2-5p per page clicks depending on what it is. The more popular the post in the first place, the cheaper the clicks. Now, unless they were all to click on my ads this is much more than I could ever dream of making in terms of advertising, but it is a good way to get interested eyes on your Facebook page and more readers. They might even translate into page likes. I have not yet taken the plunge of advertising my page however I have been warned that it is very important to select your audience carefully. A budget of $10 might be able to buy you 1000 likes from India through Facebook advertising, but these likers – although not fake Facebook profiles – are essentially bought followers. They have absolutely no interest in your page or your blog and they will never engage or interact which could well find your page reach falling, as you will be seen as less relevant by Facebook. You know those huge pages that have thousands of likes and yet the majority of their posts get next to no interaction? That’s how they got there. Not so impressive now, huh. The same could be said about increasing your following though running competitions and giveaways. Although it is against Facebook rules to require a page like as a condition of entry, many companies and bloggers take the risk and it can be a good way to boost numbers, but although I’m sure not all of those who find your page via a competition will hide your feed or unlike it intermediately after the competition is over, it isn’t necessarily a good way to find engaged page likers. Plus you really need to be aware that if you do this, you could find your page closed with no comeback. Personally, I think building up your page likers organically, although it might take a while, is infinitely more rewarding and if someone clicks ‘like’ because they actually like you, they are much more likely to interact and read your blog. And after all, that’s what it’s all about, isn’t it? So helpful thanks a million. This is very helpful to new bloggers like me, thanks so much!